Salman Rushdie, an Anglo-Indian author, is one of the leading novelists of the 20th century. His works are mainly focused on outrages of history and particularly of religions. He combines aspects of religion, mythology, and fantasy with the grounded realities of the world. His work characterizes surreal characters, brooding humor, and an effusive melodramatic writing style. Salman Rushdie was born in an affluent Muslim business family in June of 1947 in Bombay, India. His father was a businessman and his grandfather was a poet. His childhood was spent among books and he knew that he wanted to be a writer. He did his schooling from Cathedral and John Canon School in Mumbai (Bombay). At the age of 14, Rushdie was sent to Rugby School in England. He did his graduation from the King’s College, Cambridge. It was here that Rushdie started grooming his writing skills. When Rushdie was 17, his family migrated to Pakistan. 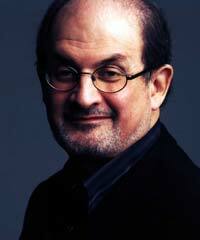 In 1968, after graduating from school in England, Rushdie went to Pakistan and worked for a brief time in television. Later he moved back to England. After a brief career as an actor in England, he worked as a freelance ad copywriter for ten years. Rushdie has played in many television shows since 1982. He has served on faculty at different universities. He is currently on faculty at Emory University at Atlanta, Georgia. Rushdie has been married four times, but all of them have ended in divorce. Rushdie published his first book, Grimus, in 1975. This book, which was based on the story of Flapping Eagle, a Native American who is given the gift of eternity, was classified as a science fiction by many critics. His literary fortunes changed in 1981, when he published his second novel, Midnight’s Children. The novel brought him instant fame and acclaim all across the world, and it even won the Booker Prize. It was even awarded the Booker of Booker Prize, which means it was selected as the best novel to be awarded the Booker Prize during its first 25 years. The book narrates the story of Saleem Sinai (the narrator) and 1000 Indian children born after 1947. His third novel, Shame, was regarded as a political allegory of Pakistani politics. The book won the Prix du Meilleur Livre Etranger and was shortlisted for the Booker Prize. Salman Rushdie’s fourth novel, The Satanic Verses, is based on the life of two Indian actors who struggle with religion, nationality, and spirituality. The book encountered a controversial reception and created a storm in the Islamic world. The book was banned and burned in many countries and Rushdie was threatened by several Muslim political leaders. As a result, Rushdie went into hiding for many years.